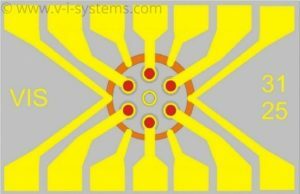 VI Systems presents their first circular 850nm VCSEL (vertical cavity surface emitting laser) chip array with 6 emitters which are evenly positioned within a ring circle. The semiconductor device target sensor applications including multicore fiber sensors. 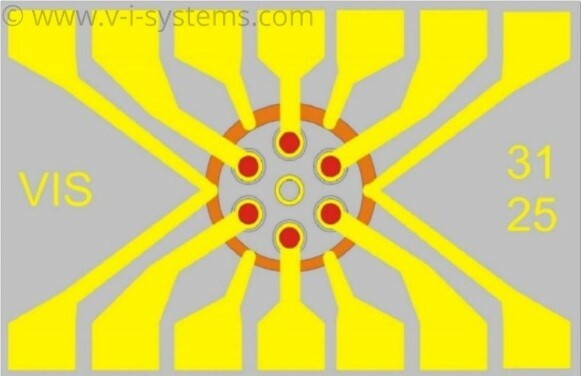 VI Systems presents the circular 850nm multi mode VCSEL chip array with 6 emitters providing 3.5 mW continuous wave optical output power per channel (total output power 21 mW). Each VCSEL channel is individually addressable from top contacts. The VCSELs are positioned on a circle with a diameter of 78 um. The chip size footprint is specified with 750um x 500 um. For fiber sensor applications the VCSEL emitters can be coupled into a multicore fiber specially developed by the company InPhoTech from Poland and tailored for the VCSEL array. InPhoTech will exhibit at the European Conference on Optical Communication (ECOC) in booth #373 from Sep 24 – 26, 2018 in Rome, Italy. VI Systems will exhibit in booth #4580 at the SPIE Photonics West conference and exhibition from Feb 5-7, 2019 in San Francsico, CA, United States. 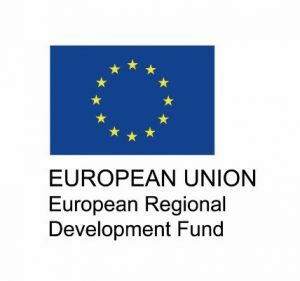 The development work is co-funded by the European Regional Development Fund (ERDF).